1834 - The Prophet Joseph attended a conference of Elders at Avon, New York. The purpose of the conference was to recruit men to help with the “redemption of Zion” and to gather funds to help purchase lands in Missouri and to help relieve the debt of the Church in Kirtland. 1842 - The Prophet Joseph Smith organizes the Female Relief Society of Nauvoo, with Emma Smith as president, Sarah M. Cleveland as first counselor, Elizabeth Ann Whitney as second counselor, and Eliza R. Snow as secretary. 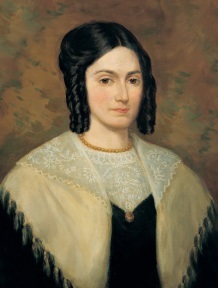 The Society had its inception when several women, led by Sarah M. Kimball, organized to make shirts for the men working on the Nauvoo Temple. They planned to organize like other women’s groups of the day, but the Prophet Joseph stated they needed to be organized after the same pattern as the priesthood. Joseph stated that by selecting Emma as the president, it fulfilled an earlier revelation identifying her as an “elect lady.” Joseph also stated that “the Church was never perfectly organized until the women were thus organized” (Relief Society Magazine, March 1919, p. 129). The organizations objective was “the relief of the poor, the destitute, the widow and the orphan, and for the exercise of all benevolent purposes” (History of the Church, 4:567). 1993 - Elder James E. Faust dedicates the Baltic republic of Latvia for the preaching of the gospel. 1999 - At a dinner and reception at the Waldorf-Astoria Hotel in New York City, BYU’s Islamic Translation Series, which is making many important classic Islamic writings available to the Western world, was honored. Representatives and diplomats from 35 Islamic countries attended the event. 2007 - A meetinghouse was dedicated at Tiberias overlooking the Sea of Galilee in Israel. It will serve the Galilee Branch of the Church. Elder Jeffrey R. Holland, of the Quorum of the Twelve Apostles, and Elder Cecil O. Samuelson, President of BYU, were in attendance. Also, the first ever young single adult conference in Ethiopia was held in the capitol of Addis Ababa. More than 100 young single adults and their friends attended. 2013 - The Tegucigalpa Honduras Temple is dedicated by President Dieter F. Uchtdorf, second counselor in the First Presidency.